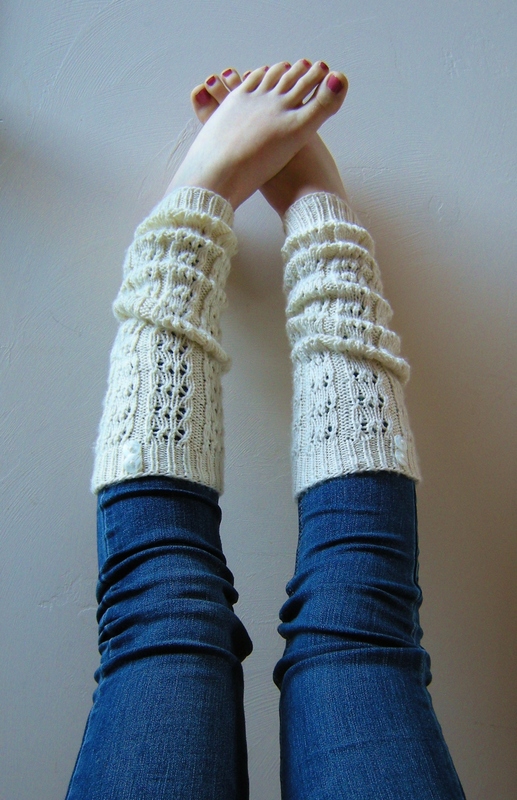 The lace leg-warmers are at last sweetly embracing my now fourteen-year-old niece . . . . . sans boots. The ‘boot leg’ photo will have to be another time. In fact, these leg warmers are named “Double Cappuccino” because whenever we have our Equinox sweater photos, they always, without fail, begin at Calistoga Roastery. That, and they really do remind me of a whip-topped yummy drink. Until the next time at the roastery , I was lucky to squeeze in this little photo shoot before our visit was up and my nieces had to leave back home. 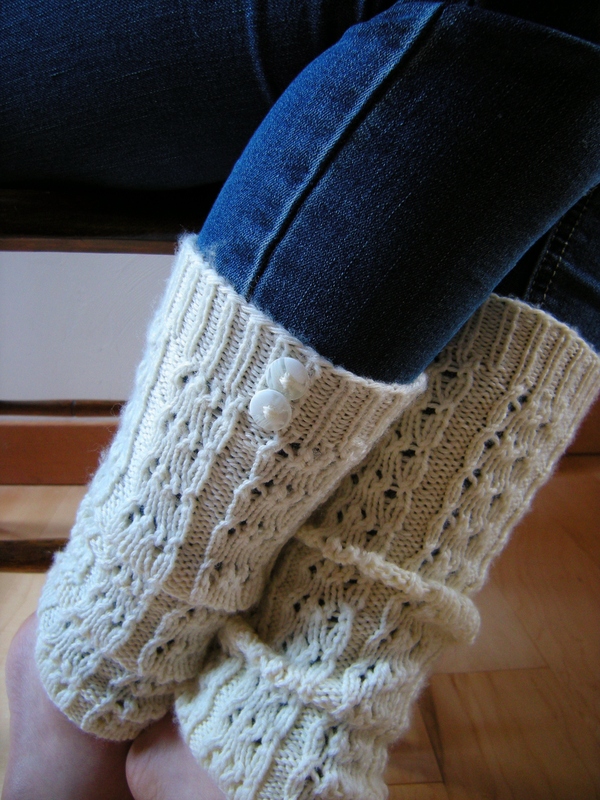 Double Cappuccino Leg Warmers have a frothed milk quality with an ever-so-slightly asymmetrical lace pattern in ribbing, and is such a speedy and uncomplicated knit. ((proof : I made these while hiking)) Knit with sport-weight natural undyed superwash sock yarn, achieving just the right light airy quality from knitting on US 4 – 3.50 mm needles. Tasty ! My niece in her infinite good taste, chose to adorn the upper rib with cute little buttons . . . Which makes these warm to the eyes as well as to the touch ! Calistoga Coffee Roastery is the first stop with all of our modeling of Equinox Sweaters, so it will be the first design (and kick-off) of my ~~ Calistoga Collection ! 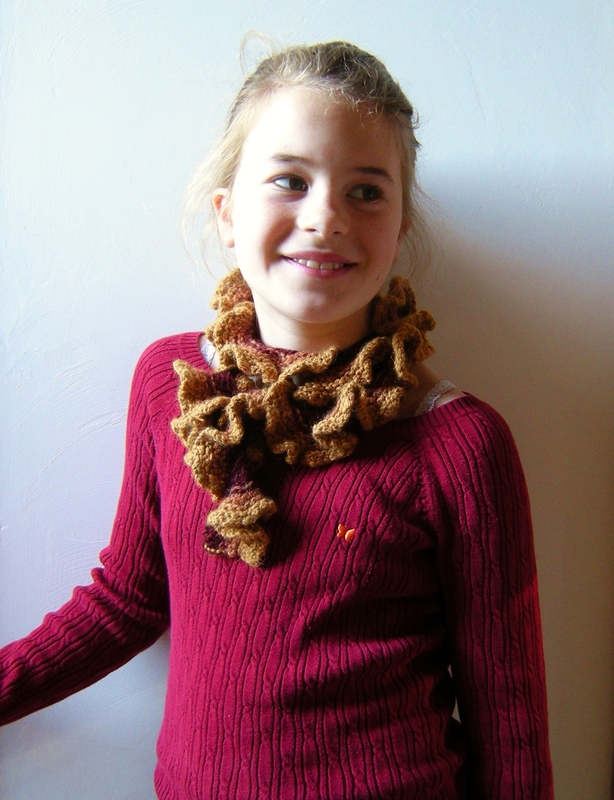 Now, I can’t leave it at that , because *both* of my lovely nieces participated in our little impromptu knit-wear photo shoot of this morning. 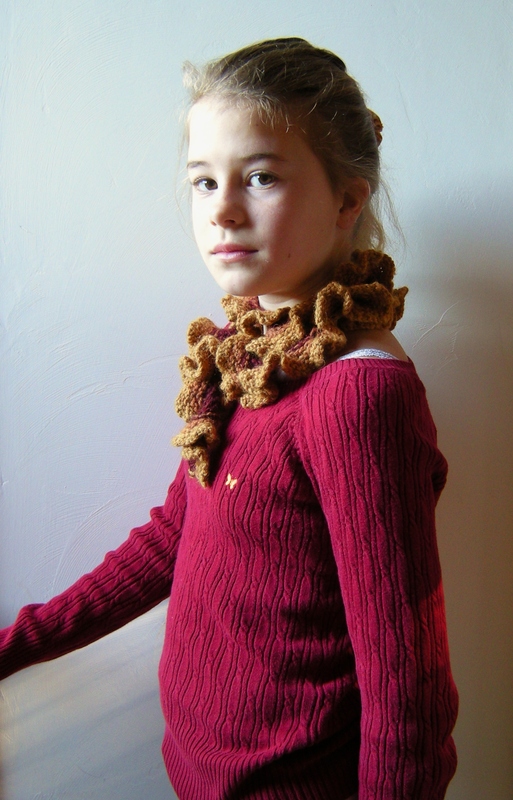 Here is my adorable eleven-year-old niece in the “Ruffles” scarf I made her for Christmas. or double wrapped and tied for a very pretty affect. Is she not the most photogenic kid ever? 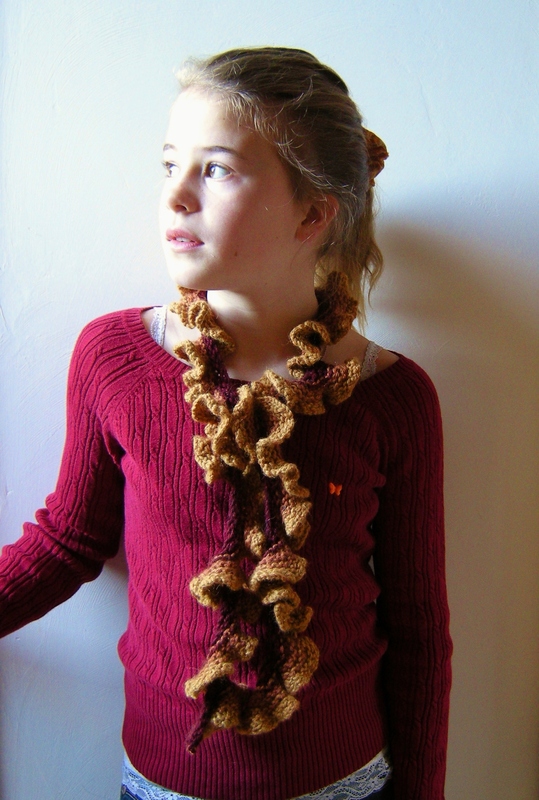 Free How-To instructions for Ruffles Scarf HERE.